I stumbled upon Jane.com, which is now a favorite site that I check on a daily basis. My obsession with these flash sale sites has grown over the past couple years of blogging and they do not disappoint. I have found some of my most favorite pieces on these sites for a very inexpensive price! 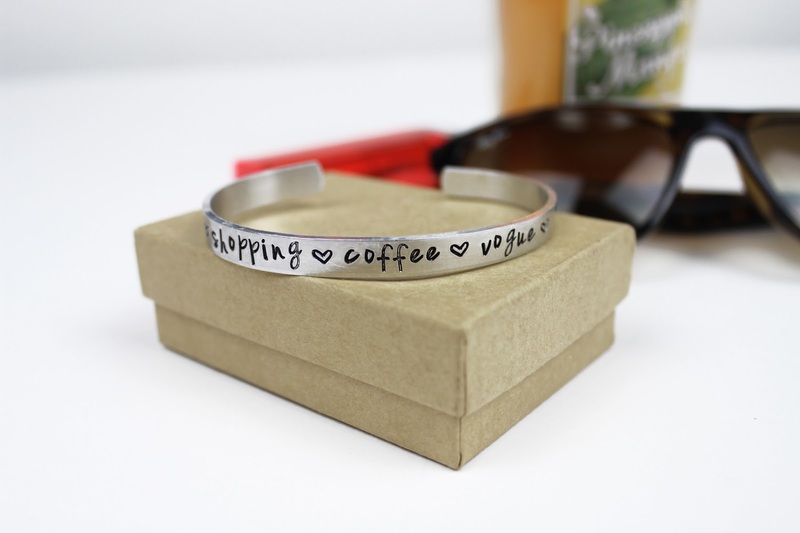 My latest purchase was this amazing custom bracelet from Lia Alana. Monograms and custom made items have been all the rage and I just recently jumped on the wagon and got a few goodies. I also have tiny wrists so the fact that you could make the bracelet tighter around your wrist stood out to me. 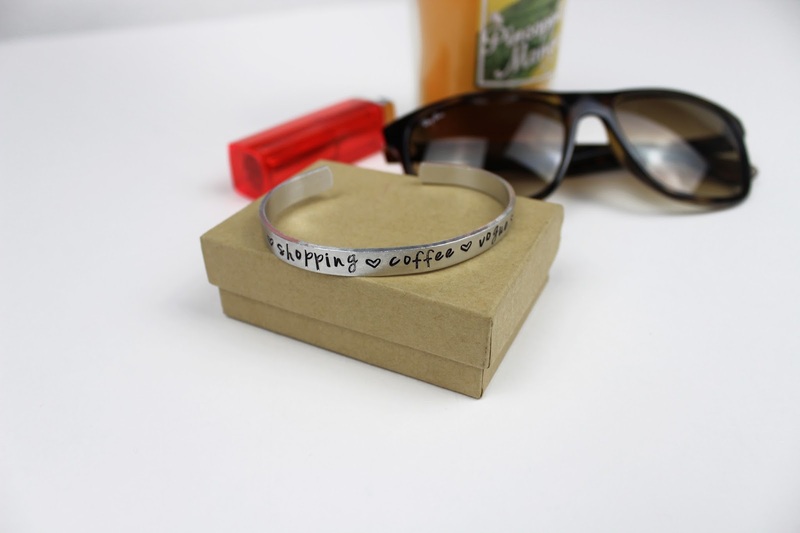 The price for this bracelet is great, and you can get whatever you would like engraved on the bracelet. I loved the saying “Shopping. Coffee. 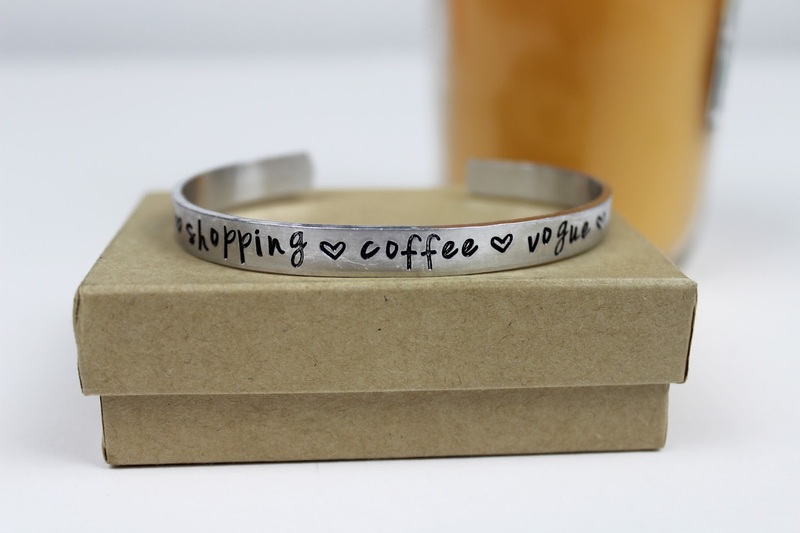 Vogue.” because I tend to live that on a daily basis so it was only fitting to get it put on a bracelet. I plan to incorporate this in my everyday wear, even though I don’t wear much silver I’m trying to branch out and try to! If you haven’t yet, check out Jane.com and Lia Alana‘s shop. Jane always has some new and awesome products on the site, sign up for the emails and you’ll fall in love! They also have everything from clothing, jewelry, home decor, even children clothing!